Your trip to Isla Nublar takes a terrifying turn after the Indominus rex escapes and causes chaos in the park! The adventure continues as you join forces with a team of scientists to unravel a corrupt plan and save Jeanie, an all-new dinosaur, from a terrible fate. 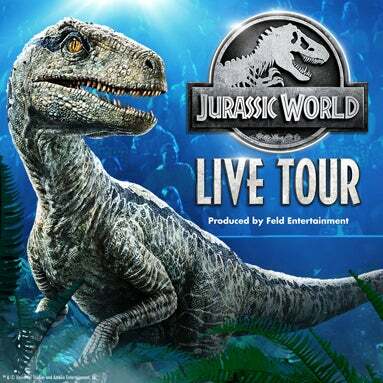 Along the way, experience some of Jurassic World’s most iconic dinosaurs including Blue the Raptor, Triceratops, Pteranodons and the mighty Tyrannosaurus rex! *No costumes for guests 14 & older.